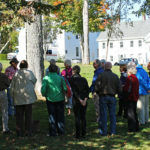 The Board of Directors of the Castine Historical Society seeks an energetic leader and historian who can share our passion for Castine and its rich history—a leader who is ready to grow and promote the organization as we work together to build partnerships, engage the community, and preserve and share Castine’s unique and significant history. The Castine Historical Society (CHS) serves as a window into the town’s extraordinary past. 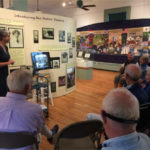 Through exhibitions, art shows, lectures, house and garden tours, historic reenactments, and guided walking tours, the Historical Society reveals the historic treasures still present throughout Castine. 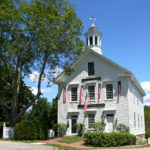 It also draws upon its archives of thousands of items ranging from diaries and photographs to paintings and cannonballs to bring to life the history of its community, New England, and the United States. For a full leadership statement and application requirements, please click HERE. Interested candidates should submit a cover letter and résumé to Starboard Leadership Consulting at the following address search1@starboardleadership.com. The cover letter and résumé should contain detailed information concerning work experience, past successes, leadership experience, qualifications, and fundraising capabilities. Please be prepared to provide contact information for professional references upon request. 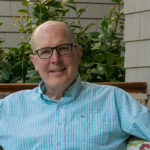 Paper copies may be sent to Lisa Belyea, Starboard Leadership Consulting, 84 Harlow St., Bangor, ME 04401, but electronic submission of materials is preferred. No phone inquiries, please. Review of applications will begin on July 10.